Speyside single malt distillery Tamdhu, which was taken over by Ian Mcleod in 2011, has released its first new expression under its new owner. Tamdhu 10-year-old marks the first release from the brand under its new focus on producing purely sherried whiskies. The distillery is maturing all its whiskies for Tamdhu in first and second-fill Spanish Oloroso sherry casks, a focus which has become their new unique selling point. The bottle is weighty and broad-shouldered, with a columnar base and its design comes from the Victorian era in which the Tamdhu distillery was originally built. 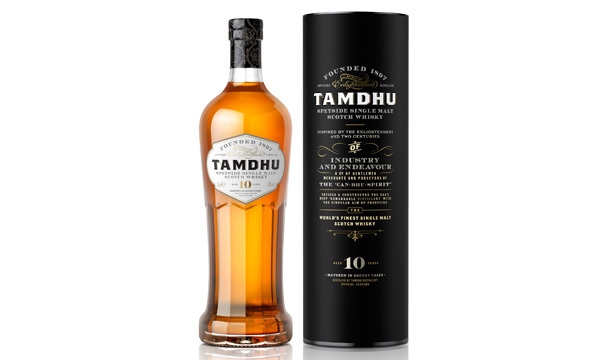 Tamdhu intends to follow up the 10-year-old, which retails at around £33, with an older expression next year. Read more about Tamdhu’s future plans here.